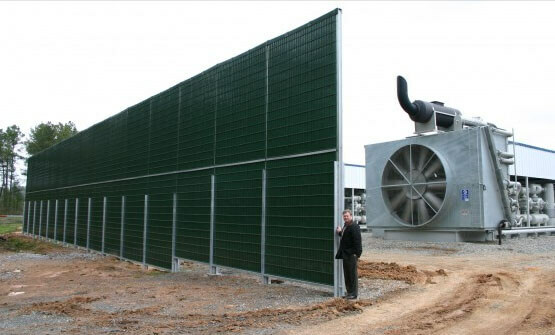 Noise barriers are the perfect solution to frustrating noise problem due to traffic, engines, compressors, motors, equipment and other sources. 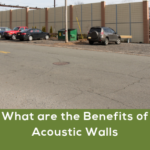 The primary benefits of a noise barrier are the acoustical qualities and traits which directly relate to the barrier's ability to absorb and eliminate noise once installation is complete. Absorptive sound barriers diffuse sound inside its panels with little to no noise reflected off the barrier. Reflective walls merely bounce the sound back or deflect it inadequately.